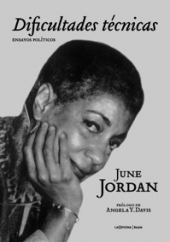 A Tribute to June Jordan... is an intergenerational exploration of the legendary poet’s life, work, and legacy. This daylong conference on Friday, May 18, 2018, at the Proshansky Auditorium C-Level Rooms - The Graduate Center, CUNY in New York City, will begin with a keynote address by Jan Heller Levi. A series of lectures, discussions and readings will follow featuring, aracelis girmay, E. Ethelbert Miller and Evie Shockley, among many others. Free and open to the public, this event is co-presented by Cave Canem Foundation, Inc., the Center for the Humanities at the CUNY Graduate Center, and the June M. Jordan Literary Estate Trust. See here for schedule of events. the June M. Jordan Literary Estate Trust. 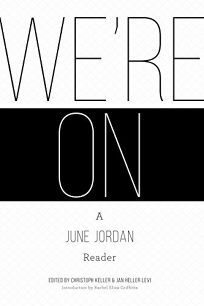 - Publishers Weekly named We're On: A June Jordan Reader one of the best books of 2017. - ​Poets & Writers named it a new and noteworthy book in their August issue. - E. Ethelbert Miller called it cause for celebration in the New York Journal of Books. - Stephanie Burt in American Poet Magazine, says "This first posthumous volume to hold both her verse and her prose puts her back near the center of conversations where -- with Audre Lorde and Adrienne Rich -- she clearly belongs." - Oprah.com featured it as a "collection of work by and about bold, free-spirited poets," along with Nikki Giovanni, Mary Oliver and Joni Mitchell. "In defiant black ink marching across the white page, June Jordan (1936–2002) speaks from the eternal front lines of justice: “I am black alive and looking back at you.” Jordan was a lover and liberator. She stood against oppression in all its forms: literary and material, personal and political. ..."
UCSF Doctor and co-founder of the Global Health organization HEAL Initiative gave a moving Tedx talk in February 2016 that tied together June Jordan, poetry, Global Health, suffering and narrative entitled Whose Suffering Matters Less, and Why? Sri was part of June Jordan's Poetry for the People in 1998-2001. June wrote a poem dedicated to him and P4P, Its Hard to Keep a Clean Shirt Clean. Life as Activism, published in February 2014 by Litwin Books and edited by Stacy Russo, is the first complete collection of the columns June wrote for the Progressive Magazine (from 1989 to 2001). This beautiful new book comes with a foreword by Angela Davis and a preface by Matthew Rothschild. June Jordan's 1997 book of poetry, Kissing God Goodbye, has just been published in Germany by Weidle Verlag, translated, Poetry-for-the-People-style, by the students of Technische Universität Dortmund and Professors Julia Sattler and Walter Grünzweig, in a beautiful bilingual edition, German and English, with an elegant cover by Max Cole. Technical Difficulties, June Jordan's 1992 collection of essays, has just come out in Spanish, with an introduction by Angela Davis, especially written for this foreign-language edition. 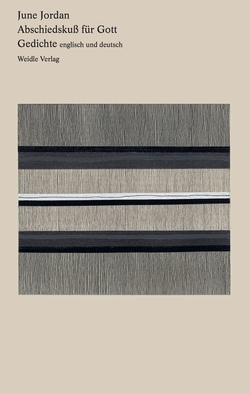 The beautiful book is published by LaOficina / BAAM, Madrid. 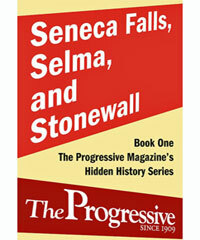 The Progressive's new - and first - eBook, Seneca Falls, Selma, and Stonewall, from its Hidden History Series, edited by Matthew Rothschild. The volume includes three of June Jordan's columns written for the magazine (and anthologized since many, many times): "A New Politics of Sexuality" (July 1991); "Requiem for a Champ" (April 1992); and "The Invisible People: Black Rage and the Stolen Election" (March 2001). 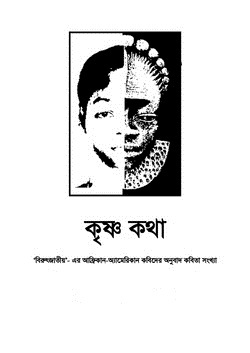 A sampler of June Jordan's poems has been translated into Bengali in the small and very nice literary magazine Birutjatio. Check it out here. Watch this film put created by the documentary film students of the University of Georgia, based on June Jordan's poem "Take Back the Night." If you're in London on Wednesday, March 28, 2012, check out the screening of Pratibha Pramar's A Place for Rage. Under the motto Poetry by and for the 99%! Poems of Provocation & Witness Split This Rock Poetry Festival celebrates the life and work of June Jordan on the 10th anniversary of her death: Join them in March! Be active! Poetry Occupies! Check out Rita Dove's The Penguin Anthology of 20th Century American Poetry with June's "Poem About My Rights" as well as many other great poems. Or go get it from the St. Mark's Bookstore shelves.